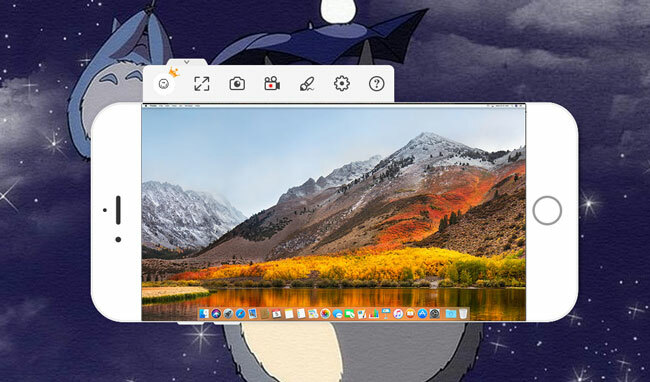 Watching your favorite movies on your Mac while lying on your bed and not being able to move a bit to adjust volume or skip boring scenes is now possible by mirroring your Mac to your iPhone. Moreover, editing important documents can also be as hassle-free as possible when you mirror mac to iPhone. Luckily, we already have these tools available to cast your Mac’s screen display to your iPhone. So start mirroring your Mac to your iPhone by following the procedures below. ApowerMirror is an application that allows you to mirror your device’s screen to a larger screen display. With this application, you can stream videos, play mobile games, and present files to everyone clearly. This application is compatible with both Android (for phones and tablets that runs 5.0 and above that support Chromecast) and iOS (with AirPlay capability) that support Windows and Mac. It also allows you to control your phone from your PC which makes it more convenient to use; especially for gamers, you can command your game’s character using the keyboard of your PC, which makes it less of a hassle for you to play. Sharing photos and videos will be so much fun with your friends. Moreover, it also let you display your presentation to your colleagues seamlessly. Sending messages will be more convenient and easy by using your PC’s keyboard. On top of that, it provides additional features to satisfy other needs you may have. To mirror Mac screen to iPhone, please refer to the steps below. Download and install the application on both Mac and iPhone. Launch it afterwards and ensure that both are connected to the same WiFi network. On your iPhone, tap the “M” button at the lower center of the screen. Choose the name of your Mac on the detected devices to connect. Select “computer screen mirroring” and then hit “start now”. Your Mac is now mirrored to your iPhone. Duet Display is another tool that you can rely on. It provides partial touchscreen provision that lets you turn your iPhone into a second Mac screen display. This means that you do not have to spend your time moving your mouse between the two screens, which becomes laborious when using a trackpad and again, enables users to be more productive. Furthermore, it is undoubtedly impractical to move with a monitor, but Duet Display offers the best way to turn your iPad into an incredibly slim and portable second monitor for your PC. Follow the steps below that will help you to Airplay Mac to iPhone. 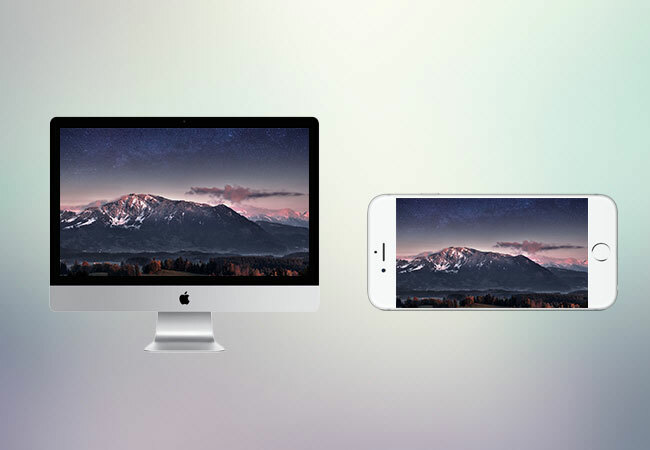 Download and install Duet Display on your Mac and iPhone. Connect both devices using a lightning cable. On your iPhone, open the app and wait for the Duet companion recognized your iPhone. Your Mac is now mirrored to your iPhone. To disconnect, simply close the app on your iPhone. Both tools offers a great mirroring experience so you can choose either of the two to display Mac on iPhone. However, Duet Display can only offer you a limited screen mirroring capability. But if you need something that will let you do more with various features and functions, choose ApowerMirror.